Although considered an SLR camera in the top-end flagship class, Nikon D7200 is still an APS-C, using a DX format lens which features both high-quality and affordability, so it is well attuned to family users in the group of new-comers to photography who have no intent to upgrade to Full frame camera. Summary：The combination suggested above may not be perfect, but it still provides useful information for you. 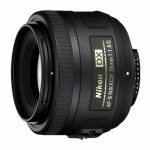 Other third-party lenses will not be described here. Just take one as soon as you find it is within your budget. For a suitable combination please consult the above recommendation. Those who intend to upgrade to full frame or to get a Nikon D7200 as backup can buy any full frame lens which has a suitable zoom range, without additional clues from me. Here I only recommend some lenses that you can still use even after you upgrade to full frame. If you want to upgrade to a full frame camera such as Nikon D4S or D810, just buy a 24-70mm F2.8. 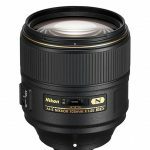 Here I recommend 70-200mm F/4G because of its price, just as I recommend 70-300mm VR for the same reason. I think 70-200mm F/4G may not be necessary for Nikon D7200 users, so don’t hurry to get one. But if you really need a Telephoto lens, and want to upgrade to full frame camera in the future, then 70-300mm VR would be indeed unnecessary for you. Anyway, 70-300mm VR is much inferior to 70-200mm in imaging quality, and you would be better off paying more several hundred dollars for a Nikon 70-200mm f/2.8G ED-IF AF-S VR Zoom lens. The last large aperture lens recommended here is, as before, 50mm f/1.8 G because a large aperture helps take bokeh photos. 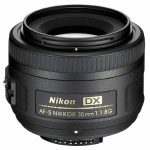 At an equivalent focal length of 85 mm, it is good for shooting objects such as portraits， cups and others. Previous The Pros and Cons of Dual Camera SmartPhones: is a smartphone camera really good enough for travel nowdays?